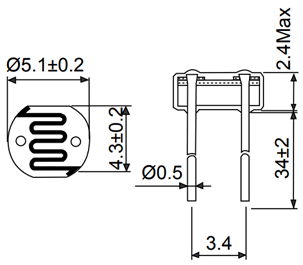 As said earlier a LDR is just like a resistor, hence using it is very easy. 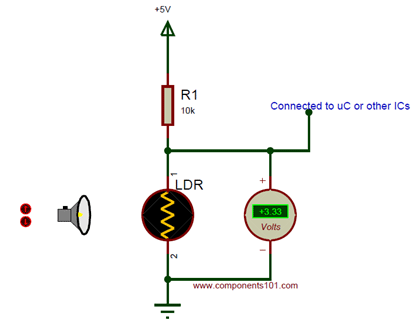 There are many ways and different circuit in which an LDR can be used. For instance it can be used with Microcontroller Development platforms like Arduino, PIC or even normal Analog IC’s like Op-amps. But, here we will use a very simple circuit like a potential divider so that it can be adapted for most of the projects.